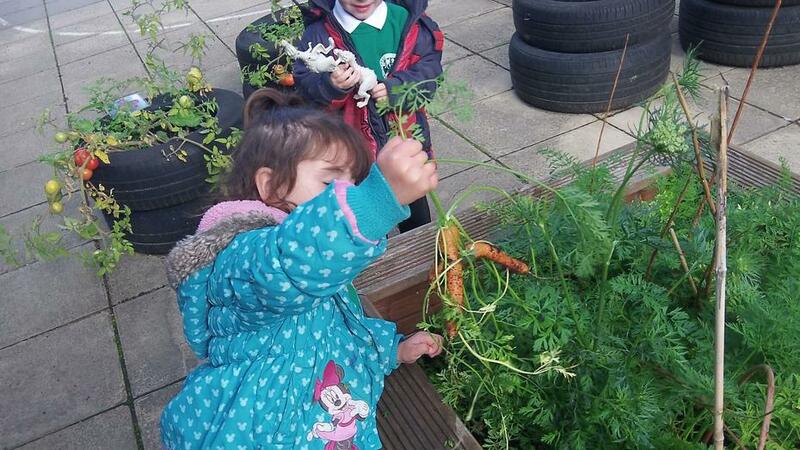 Vegetables: This term we have been harvesting our vegetables in Nursery garden. 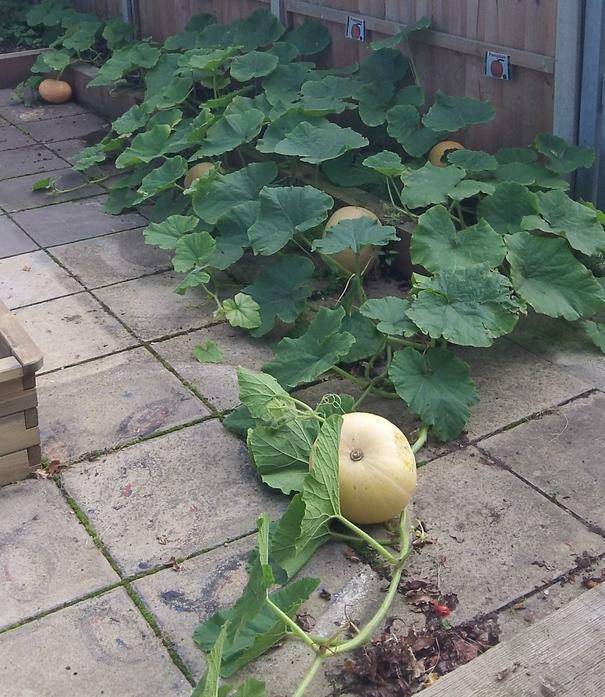 Tomatoes, carrots, courgettes and pumpkins have all grown really well this year. 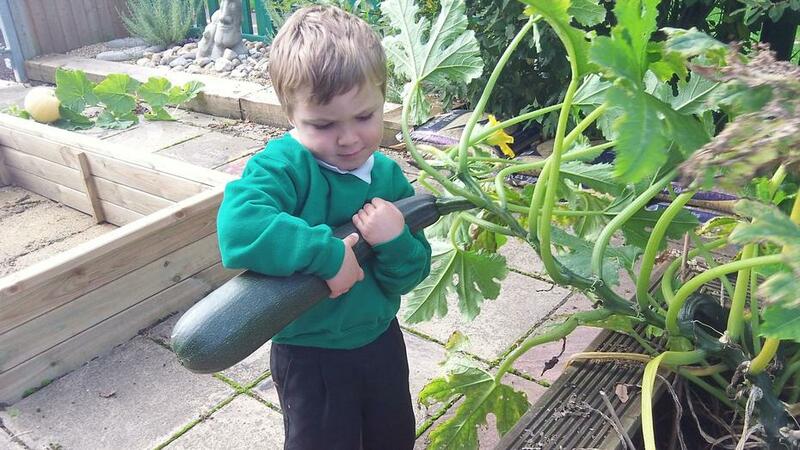 We grew them, watered them and now we have harvested them to share in Nursery. About their different characteristics through close examination. How to work hygienically by washing hands and wearing aprons. How to use safety knives to cut and slice. 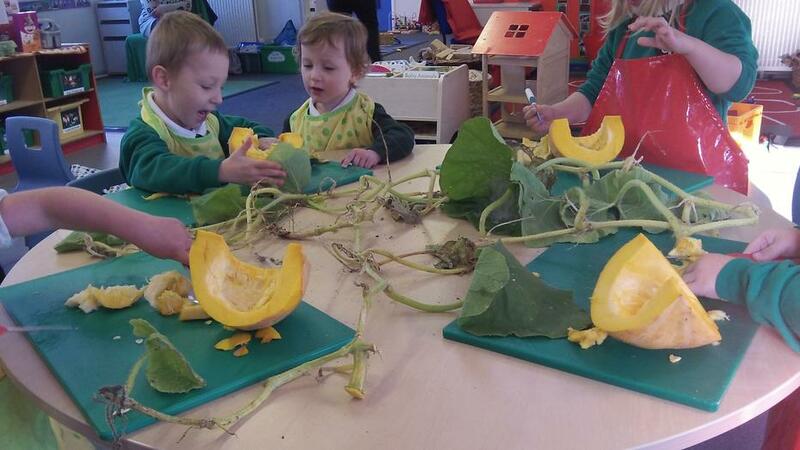 Lots of new words to describe their appearance, smell, taste, texture and colour. Best of all we get to eat them! Apple Day: Our school orchard is planted full of old English apple and pear varieties. 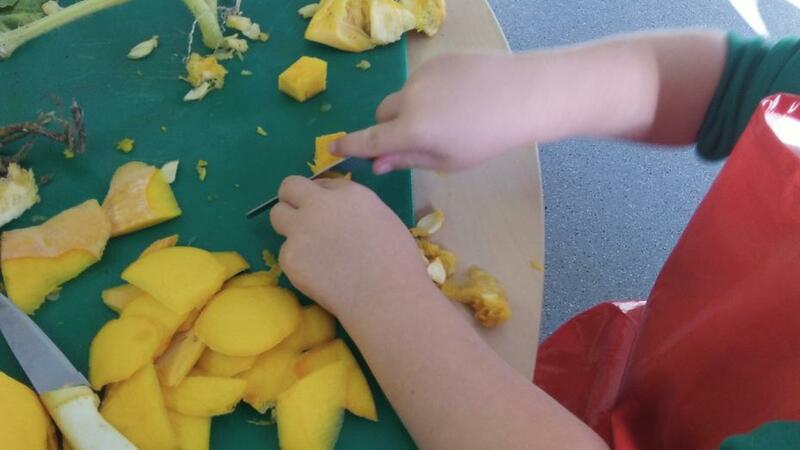 Nursery children have been learning where and how apples and pears grow. Our school orchard was full of apples & pears. 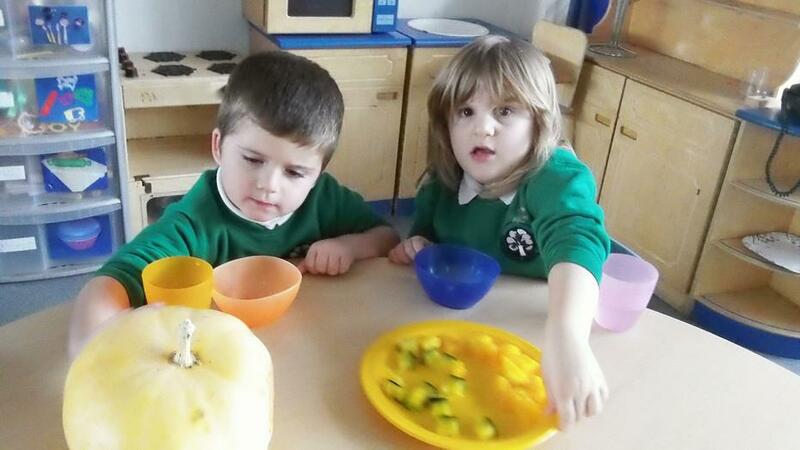 We have been learning how apples & pears grow. 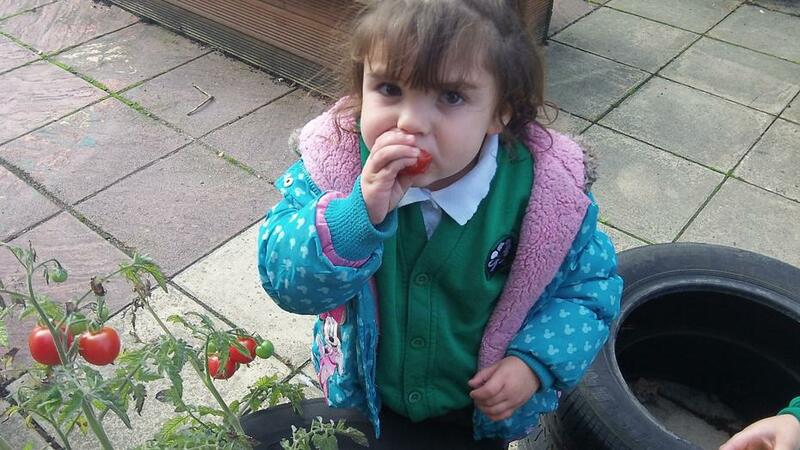 We had great fun picking them. We used an Apple picker. We worked together to transport them. Some were big and some were little. We talked about their shape and size. We used lots of mathematical language. 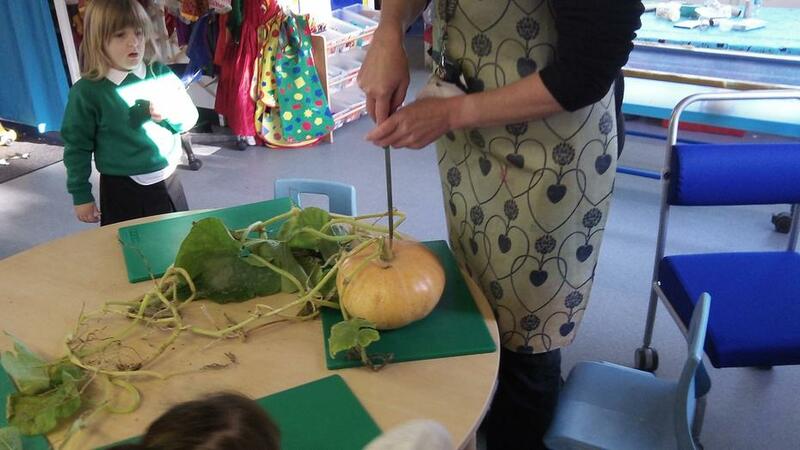 We used safety knives to cut & slice them.